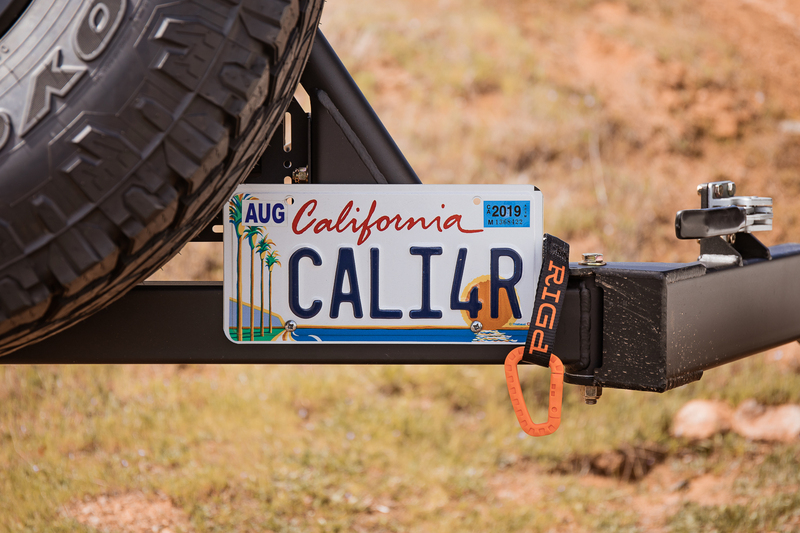 After installing the tire carrier last week, we knew the RIGd (pronounced Rigged) UltraSwing deserved a separate write-up dedicated to its features and benefits. 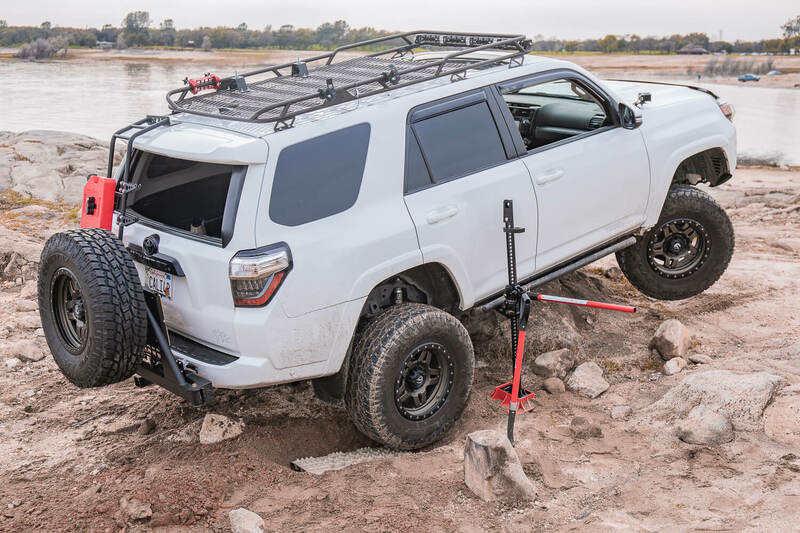 We wanted to get a full perspective of what it’s like to drive around with the tire carrier, both on and off-road. We also wanted to get a feel for what the UltraSwing was like in a camping/cooking environment. Although we haven’t put the UltraSwing through all its paces, we have a pretty good idea what it’s capable of. 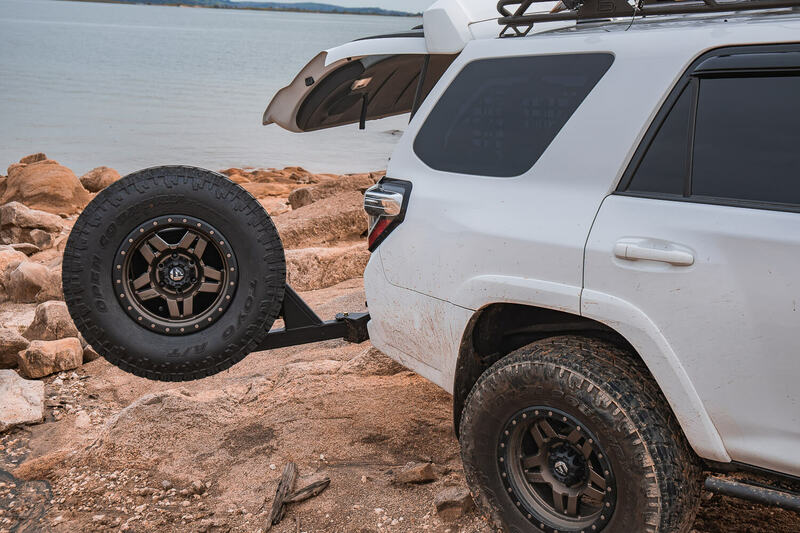 Our goal is to break down some of the areas you might question when looking into this tire carrier. After posting a few videos on the gram, we got flooded with questions and comments about the UltraSwing and hopefully, we can address the most common topics here. WARNING: Never exceed the 250 lbs total weight rating of the UltraSwing. 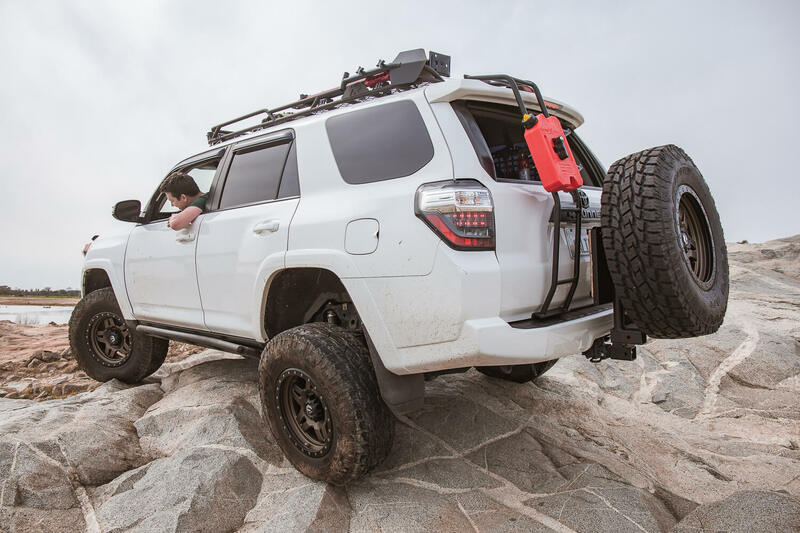 In severe off-road application we recommend reducing the total weight to 150lbs. UltraSwing is not tow rated. If you want the quick run-down, the UltraSwing is solid. You can tell that a team of creative mindsets were behind the design and build of this product. 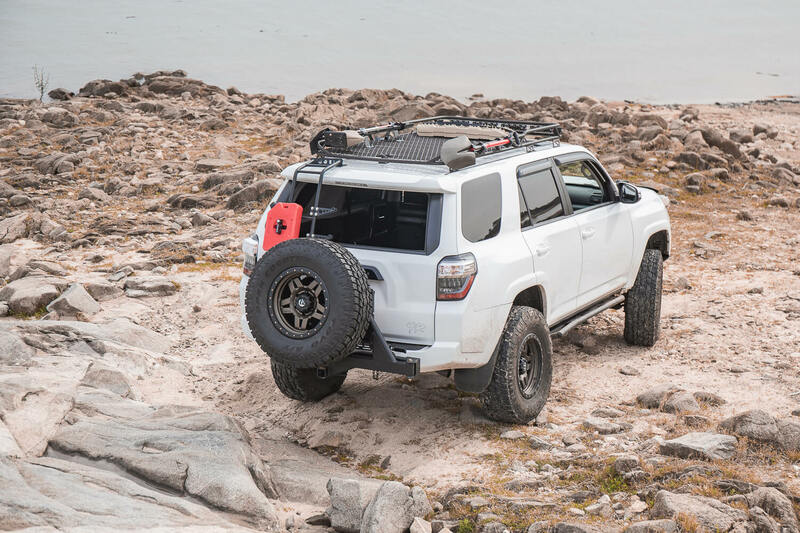 From the adjustable wheel plate to the optional accessories, I can quickly see this becoming the go-to tire carrier for many 4Runner owners. What’s cool is that it’s much more than a tire carrier. Innovation is really the topic here. RIGd took a traditional tire carrier and turned it into an adventuring side-kick. 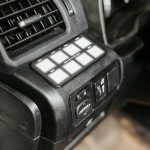 With the added UltraPlate, your options for mounting accessories are virtually endless, you are really only limited by your own creativity here. 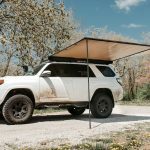 By adding the Front Runner camp table with slide-out cutting board, your tire carrier now doubles as a mini overland cooking platform. Finally, you are going to be sold instantly once you see the UltraSwing perform with a bike rack on the back. From the secondary receiver to the clearance once the swingout comes around, RIGd literally thought of every inch in the design of this build. The UltraSwing starts around $1000 and can go up from there depending on the accessories you choose to add. 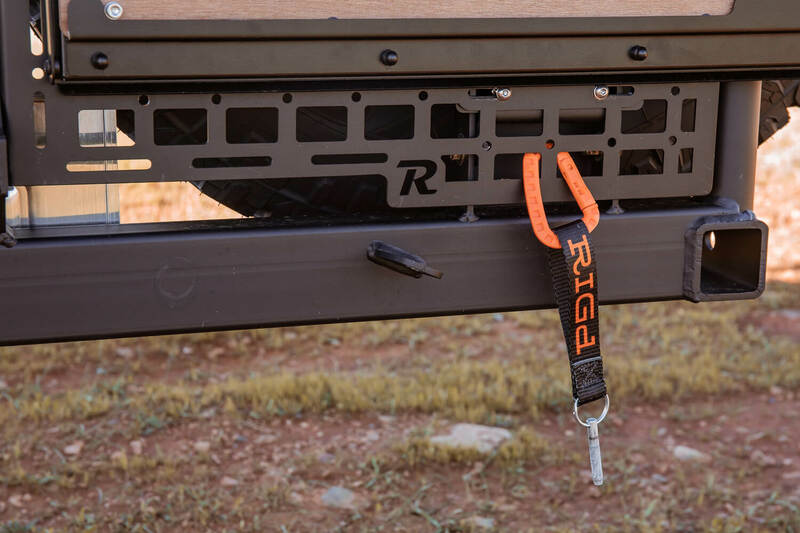 The UltraSwing covers everything you would want in a tire carrier and much more. 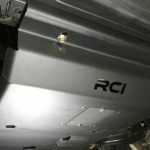 Made in the USA, RIGd pumped life back into the tire carrier addition and will make drivers who never considered adding one, give tire carrier a second look. I know there are more areas to cover but these should address most of the questions. If you have any additional questions, please leave them in the comments section below. Depending on how you use the UltraSwing will determine whether or not you want to take it apart, adjust it or remove the whole unit. First, you can take off the wheel plate and your tire, which would leave you with the UltraSwing and no tire/mount. If you don’t need to carry a tire and maybe just a bike rack alone, this is a great feature to reduce weight and possibly increase clearance. The entire swingout is also easy to install and take out with one person. 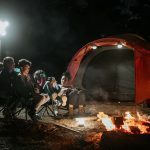 If you intend on using the UltraSwing for more weekend trips as opposed to everyday use, then taking the unit off and setting aside, in your garage is an option as well. This is not a permanent mod at all. The swing out has four locking positions for your adventuring needs. There really is a setting for all occasions. From BBQing at the lake to fancy cheese plates and loaded bike racks to setting your shorts out to dry, the UltraSwing has a position for you. I picture bringing the UltraSwing in tight when it’s just my two girls and I. When the whole crew rolls out, swing it wide with a fire in the center surrounded by good friends, great beer and some money tacos. The options for accessories are almost endless. RIGd offers mounts for fuel containers like RotoPAX along with a Hi-Lift Jack mount as well. 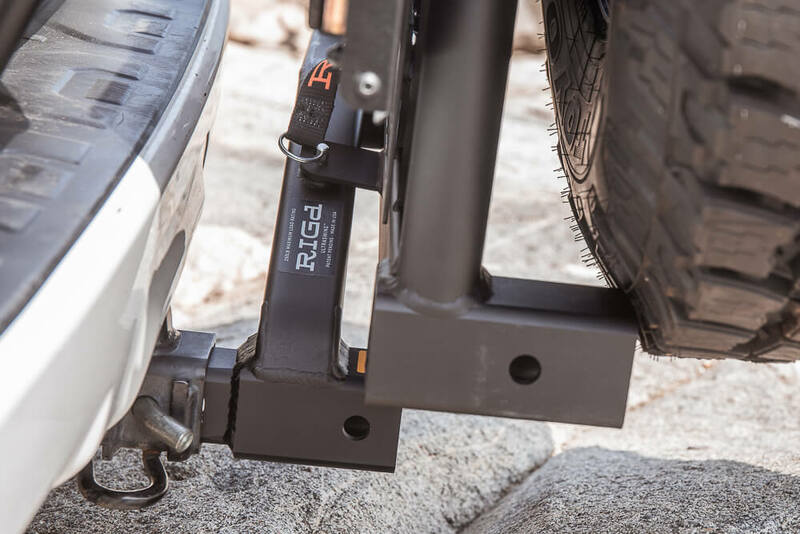 Accessory mounting options include their UltraPlate, Front Runner Camp Table, and Hi-Vert Hi-Lift jack mount, and MAXTRAX Hi-Lift mount. Don’t stop there, though. With the Rago Fabrication UltraPlate and a creative brain, you can figure out almost anything you want. Mount an antenna, your own fuel container brackets, whatever you can think about mounting, RIGd made it pretty simple with the UltraPlate. From the Coleman to your power inverter, the camp table can fit it all. 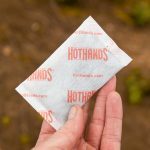 We BBQ at the lake a lot so for us, this is such a cool addition and will make life much easier. For RIGd to include the drop table was flat out genius. 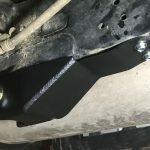 For the driver that doesn’t want to make the cuts for a full bumper, or just isn’t quite there yet, this is one of the additions that will make your camping, adventuring and exploring experience that much more enjoyable. 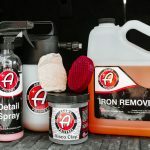 When you have the right tools, life is easier and more organized. I am a pretty organized “type-A” personality so having a dedicated spot for the grille, prep and utensils are going to be pretty sweet. I am so stoked on this portion of the UltraSwing. If you are looking to crawl the Rubicon, you should get a high clearance rear bumper. 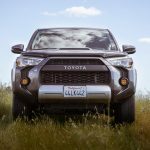 If you are looking to push your 4Runner through some sketchy spots, the UltraSwing will keep up. 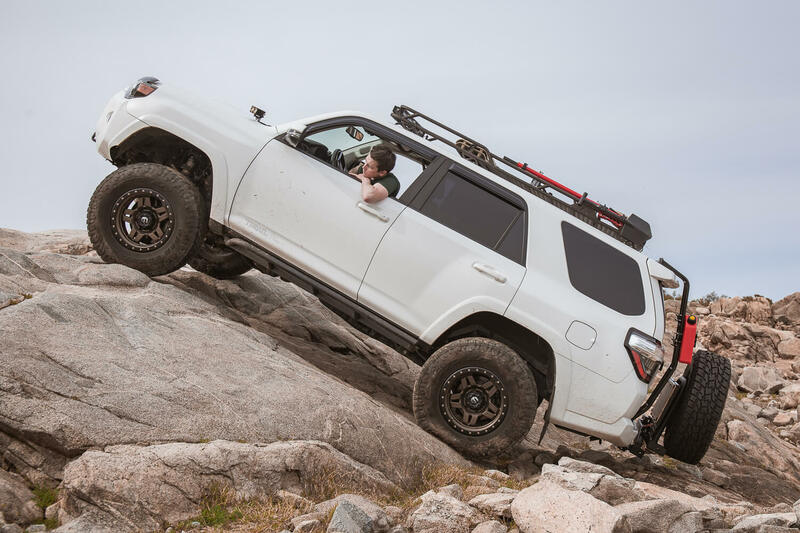 We pushed the 4Runner up some rock faces and the UltraSwing did make contact with the ground a couple of times but that’s because we were REALLY pushing it. I somewhat wanted it to make a few touches so I knew what its capabilities were. The end result is the UltraSwing can hang and it dragged or touches way less than I thought it was going to. 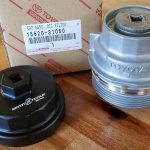 #6 – Does it wobble? The short answer is not really, no. If you are running the Front Runner Camp Table with the cutting board in, then you will hear the cutting board wiggle around. After taking the UltraSwing through its paces over the rocks, I rolled down the rear hatch window and I could hear the cutting board moving around. As for the UltraSwing, I had the guys watch it as I came down off some ledges. As I came down the truck would sway left to right and the UltraSwing just followed suite meaning it did not wiggle or wobble independently of the truck. Let’s talk about weight for a moment. After you start packing on your accessories, you will start to weigh yourself down. If you consider a rear bumper, you will still come in at a much higher weight rating. 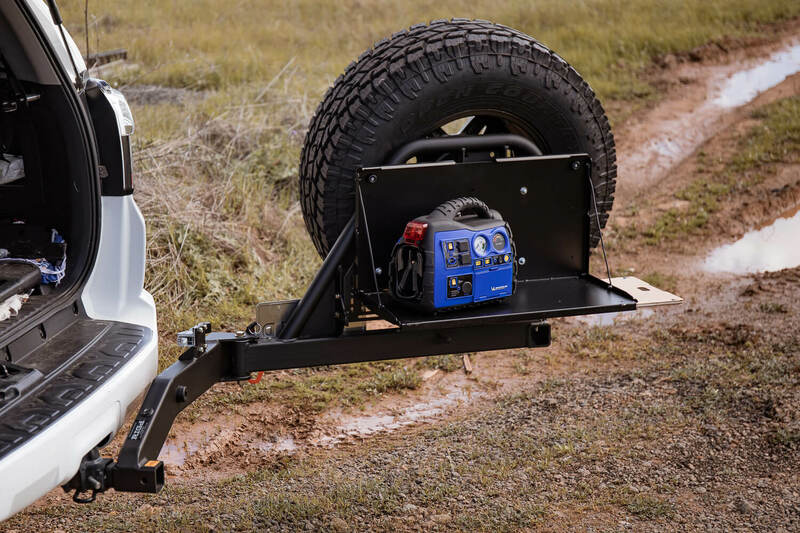 Your grand total with a full-width bumper and all the accessories will be almost double once you add the High-Lift Jack at 30lbs. C4 Fabrication, for example, weighs 160lbs alone and with swing-outs, 235lbs. I understand you won’t have an UltraPlate, but you get the point. There are no plug n play options available yet for the UltraSwing through RIGd. 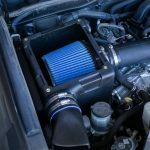 You will need to get creative with how you handle this portion of the install. 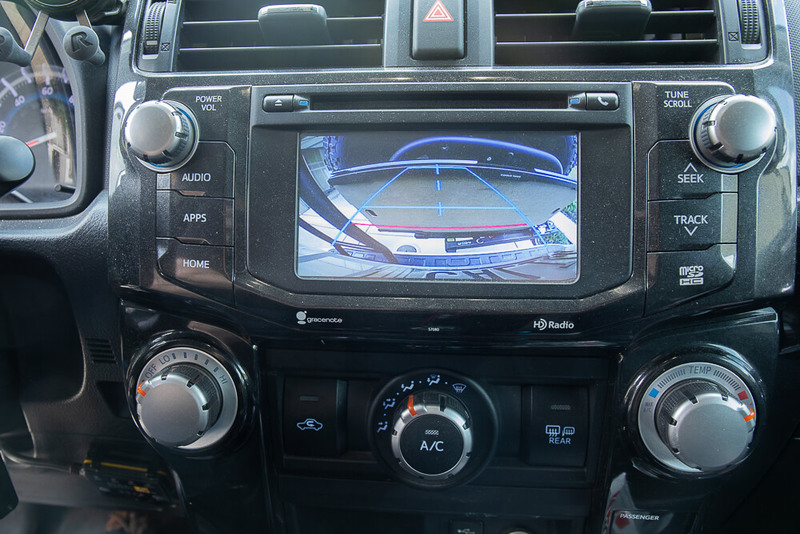 There are many companies that make aftermarket rear camera relocation kits, though. RIGd comes equipped with two holes in their swing out. All you need to do is mount up your License Plate using the factory hardware and call it a day. 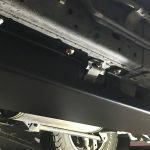 The UltraSwing is not technically rated but after speaking with Luke, the owner, they are confident it would compete with other tire carriers 7500lb/750lb tongue rating. You can recover with the RIGd UltraSwing if you need to, although we have not yet put the carrier to the test. The next time we need a pull, we will update this post. I got an Ultraswing and really love it. I was looking for a solution to swing my bikes out of the way and no other solution provides this thus far. 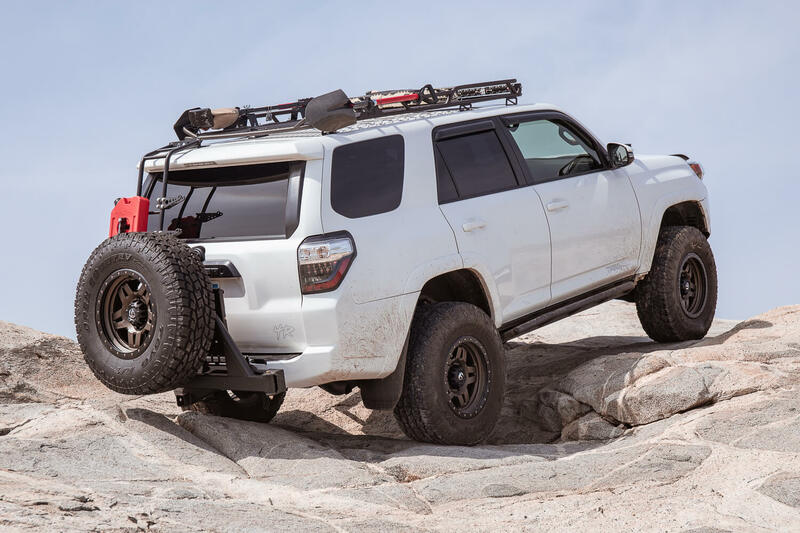 I also like the fact that it’s modular; fits my needs as my 4runner is the daily commuter as well. Construction is A+, Customer Service A+. I am looking at the table as well but not sure how dirty it will get back there? Nice. Have a Thule T2 and also want an easy swing away option. That table option looks great!! And if I can get that $$ for new tires, would have the rack ready for the spare, opening a space for a watertank where the spare was for a shower mod. Or a second spare. More to think about. What’s the best option to hook up a license plate light on the Ultraswing? I’m pretty sure it’s a requirement to have your license plate illuminated to where it is visible from 50 feet away at night. Good question man, for a quick fix I thought about doing something like a solar led light clip. Although it’s not permanent and probably somewhat flimsy, it might work for some people as a temporary solution. 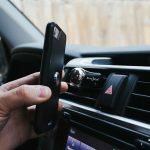 The other option was to install a rear camera with a light as well. A permanent solution would be pretty straight forward as it would include just a few wires and a whole kit, like RSG. With this, you would just run all your wires over to the UltraSwing and find a place for the camera and light. Another option for the license plate light was to grab a set of quick disconnects built into a wiring harness (I would like to do this for the reverse camera as well if I can). That would disconnect right at or around your trailing lighting (hitch wiring). For the RIGd wiring harness, I would connect up a simple set of License plate LEDs like these, take your pick, there are plenty to choose from out there. Obviously, I am going for a detachable UltraSwing. Just in case I need to take the UltraSwing off, I can. All without having to cut and damage any wiring I had in place for the camera or license plate light. Wilco Hitchgate is the same with more attachments an offset version. What’s the selling point for this one? Thanks.